Sunshine, epic food and fun waves! Tourists love to come to Bondi Beach and spend time in the ocean and learn to surf. They also love to spend time with the locals and do what the locals do which is eat at our amazing restaurants. 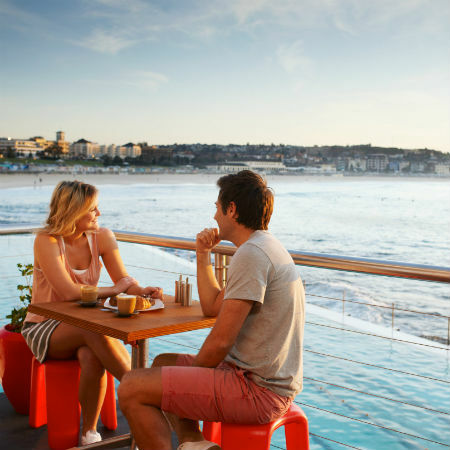 At Bondi Beach we are spoilt for choice, from delicious Fish and Chips on the beach to fine dining at Icebergs. Check out Lets Go Surfing’s Founder, Brenda Mileys view on restaurants in Bondi Beach by clicking the play button. Lets Go Surfing provides half or full day surf tours that include lunch at some fabulous locations.